Why do we always tend to look at the Silicon Valley when we think of entrepreneurship ? Undoubtedly there is a lot of energy, excitement and buzz around things that come from there. The Wall Street Journal published an infographic in 2015 depicting the 73 companies globally valued at over $1 billion. Yes, admittedly, tech unicorns like Uber ($41.2 billion) and Palantir ($15 billion) were in the upper echelons with possibly inflated valuations. But there were several non-tech companies too, such as a consumer good company – Honest Co., ($1 billion), a healthcare company – Theranos ($9 billion) and a real estate company – WeWork ($5 billion). Silicon Valley has been the center of a great technological revolution. The tech valuations do sometimes defy imagination and their successes are not always easy to replicate. None of this is meant to diminish what is happening in Silicon Valley, rather it is meant to assert that entrepreneurship is possible everywhere in every industry. Furthermore, businesses that tend to make money, rather than just hoping to make money, are more sustainable. So where should you look? Everywhere. To help my students understand the breadth of possibilities, I have them read Rachel Bridge’s My Big Idea, which highlights 30 small entrepreneurial ventures across a variety of industries in the UK. Examples include companies offering hot dogs, coffee, baby foods, insurance and travel. There is even the story of the young lady who convinced the musical group Abba to support her idea of making the musical Mama Mia. Where did all these ideas come from? Often they arose from their passions, their life circumstances and their travels. The students breathe a sigh of relief because these are stories they can relate to and they can see themselves doing similar things. I do not want to minimize the great benefits created by Silicon Valley type companies; they have generated enormous value and in many cases changed the way we live. But I do want to emphasize the fact that there are many ways to create value, in virtually every industry and in every country. Create a technology company if that is your passion, but using technology as a driver may open up even more opportunities. Problem – Solution, that is the real mantra of entrepreneurs . Understand the process, develop the discipline and see how your world changes. Isn’t it funny how we always find a reason to not do something? The known – as monotonous, unfulfilling, and lousy it may be – is preferred to the challenge and risk of doing something new. Most of us WANT to do something of our own; start-up our dream company. But alas! How can I do it alone? Isn’t becoming an entrepreneur asking for too much risk? I do not have it in me to become an entrepreneur! These are only few of the myths most of us believe in, blindly!! 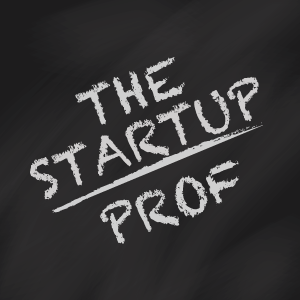 – Entrepreneurs are born – one cannot learn to become an entrepreneur. – Entrepreneurs take huge risks. – I have to do it alone. – I have to have a large network. – I must have a big idea. – I must be lucky or a real genius to come up with a big idea. – I need a lot of money to get started. – Silicon Valley is where all entrepreneurship takes place. – I have to be charismatic. Can you identify with some/ all of them? How many of these fears and myths are accurate? Not many. Perhaps none of them are. Entrepreneurship can be learned and if done right, you will reduce some of the risk before you embark on something. You don’t need to do things alone. Form a team and divide the work and leverage each other’s strengths. It is strange how luck seems to favor hard work. Also, you do not need to move anywhere to get started. If charisma is not your strong suit, be thankful. A myth is a story often involving supernatural forces. It is generally a widely held belief that is not true. How then do we dispel our fears and myths? We wake up and take action! I am not creative: Actually, most of us have a fair bit of creativity. We just don’t tap into it often. Furthermore, entrepreneurship is a team sport. Perhaps someone else on your team will be the creative spark plug. You do not need to do everything. I am not an engineer: It turns out that engineers are about 2% of the U.S. workforce. Most of you will NOT be engineers. That is why you need a team! I do not know anybody. I have no network: We mistake the superficiality of social media interaction for having, or not having, friends. Make a list of people whom you could call at any time for help. I am sure this list would be far more extensive than you had imagined. Everyone has a network – big or small. It just has to be nourished and sometimes rejuvenated. I never have any really brilliant ideas: Entrepreneurship is more than just about brilliant ideas. An idea without execution is meaningless. Sometimes the ability to complete things may be the more pressing talent a business needs. 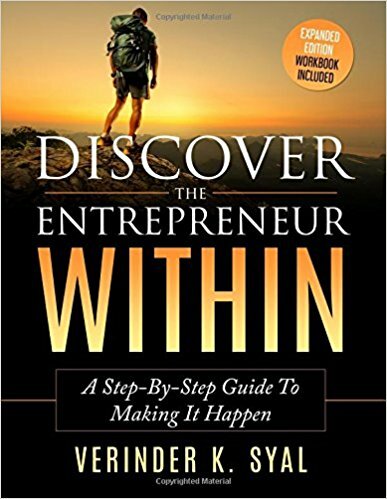 I have a lot of great ideas but I do not know where to start: My book (Discover The Entrepreneur Within) will provide you with a model to starting and completing tasks. I never finish anything I start: You are going to have to learn and commit to doing so, or you will let your team and yourself down. I have no money: There are many new options now, including crowdfunding. I have no time: All of us have 24 hours in a day. What we do with those 24 hours is what can make or break us. Could you find a couple of hours of time for yourself in a day? I think most people can, if it is important enough to them. I’d like to give it a try but I am just too risk averse: Entrepreneurship is not as risky as you think. Everything in life entails some risk, even crossing the street. I challenge you to reexamine your risk preference. I’d love to but I don’t think I can: Henry Ford said, “Whether you think you can, or you think you can’t – you’re right.” Most of us limit ourselves with our beliefs. What will people (my parents, friends) think or say? : Ask yourself: whose life is this anyway? This thought experiment was not meant to be glib; rather it was designed to help you think from a different perspective. We all have doubts and fears. The human brain is wired to worry. How do we surmount our fears? By finding solutions while also trying to understand ourselves. The reality is that the vast majority of the problems that we worry about never come to pass. To be paralyzed or not to be paralyzed is our choice.